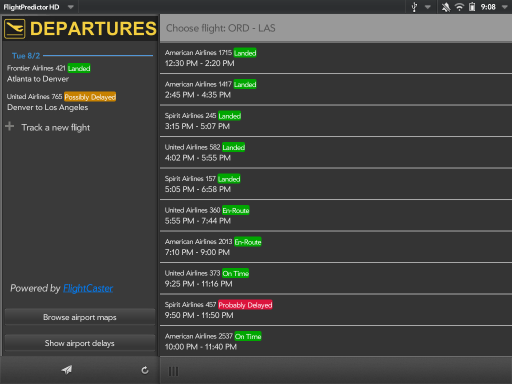 FlightPredictor HD is a great way to find out ahead of time if your flight is going to be delayed. 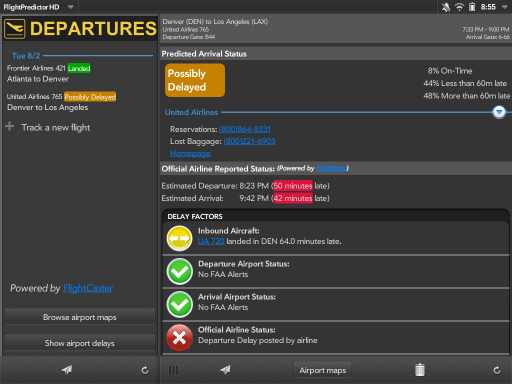 Powered by FlightCaster, FlightPredictor HD offers the convenience of WebOS notifications so you can always know whether your flight is likely delayed. Note that FlightPredictor HD only works with US domestic flights for now. 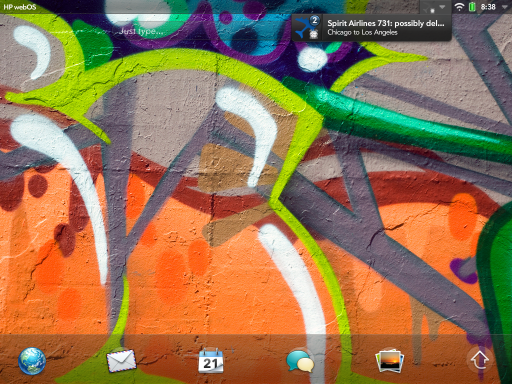 Watch a video walkthrough of FlightPredictor HD, or chat on the discussion forum! 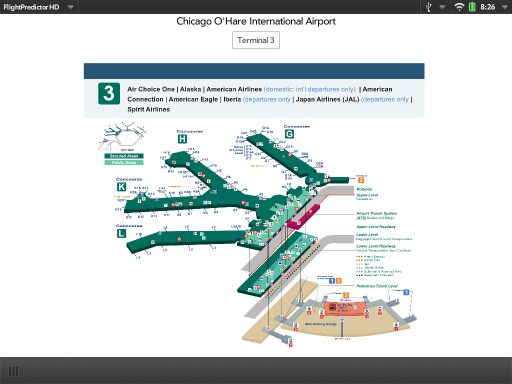 Includes offline viewing of airport maps for major US airports to easily find your connection!